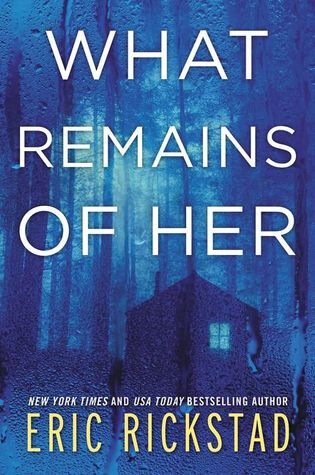 Kritters Thoughts: Sometimes you just need a good mystery/thriller to curl up with on a rainy weekend and this book was just that. A poetry professor who has been wishing for tenure in a small town in Vermont comes home to find his wife and daughter missing and he has no clue as to where they have gone. 25 years later another little girl goes missing and it just seems way to close to the same thing happening again. With short chapters this book moved so quickly. I find books with short chapters, I keep saying oh one more chapter and all of the sudden I am half way or flipping the last page! I like this set up for mysteries because it keeps the pacing going and going. I loved these characters. Some were easy to trust and hope that they were innocent of all things and then other that made you wonder and uneasy - I loved it. The culprit in the end came out of left field, but I wasn't disappointed by it. I think the biggest thing about a mystery is the who dun it in the end and if it is a person from way too far out of left field it can feel unsatisfying. Instead this book made me go hmm out loud and want to reread to see if I can find a clue that would point to them and that for me makes a mystery so good! This was my first Eric Rickstad read and I am excited to try another and see if they live up to this one. Have you read him before? What should I read next?